There is an entire shelf in my cabinets devoted to mugs. Some have been gifts, some souvenirs, some I bought. They’ve come into my house in a multitude of ways. I’ve got some really cute ones my sister-in-law painted with all of our names on them. I’ve made a few marker mugs. But I have to say I think this Luke’s mug that my sister got for me is probably my favorite. If you’ve been around for awhile you’ve heard me talk about my fandom for this show. And the coffee quotes it provides are endless. When my sister went to California a few years ago she did a studio lot tour and came home with Gilmore Girls souvenirs for everyone. This mug gets special treatment, is only hand washed and is used exclusively by me. No sharing. Westrock Coffee has so many blend options and best of all, every cup is making an impact in the lives of the farmers and their families who grow the coffee. It’s so exciting that you can get this kind of ethically-sourced, high-quality, and affordable coffee locally in Dallas. 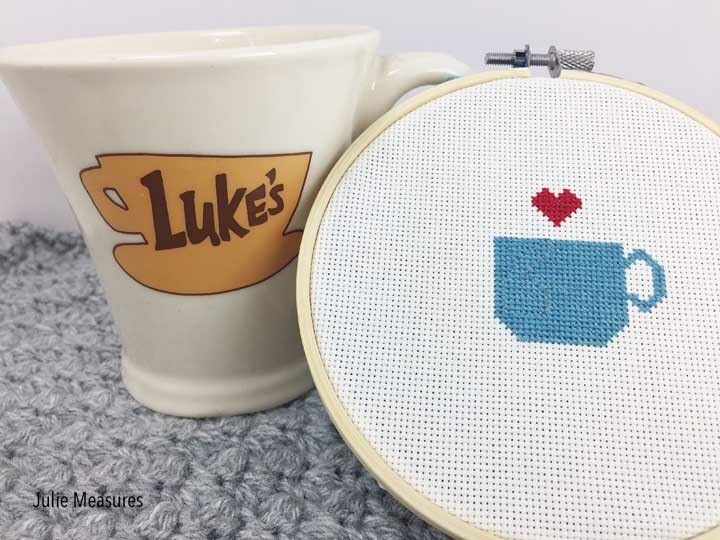 I wanted to share a photo with my favorite mug to go with my cross stitch pattern that also features a little heart on top of the mug. 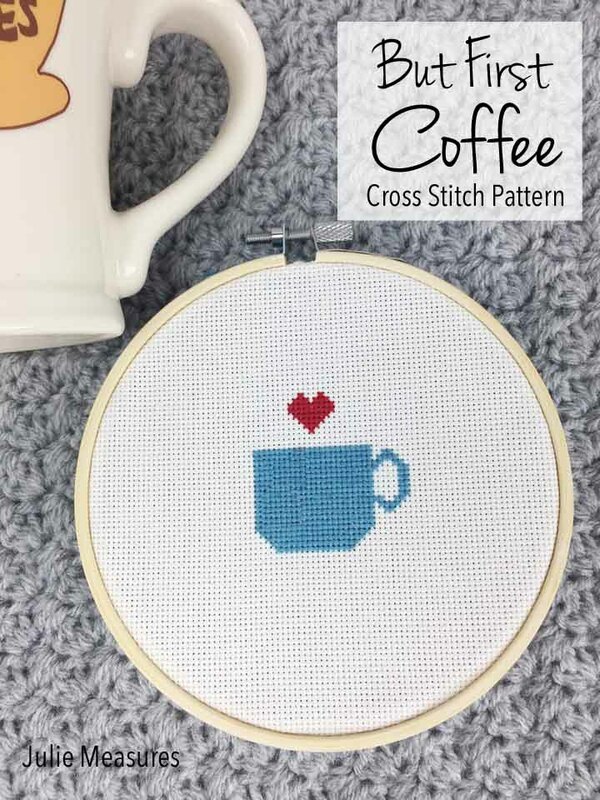 This cross stitch pattern is a pretty quick and easy one to make. 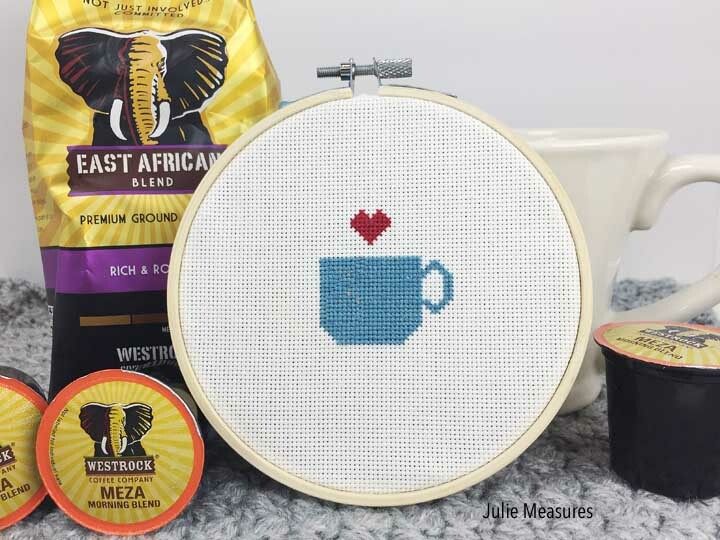 It would also make a great gift for your favorite coffee drinker!